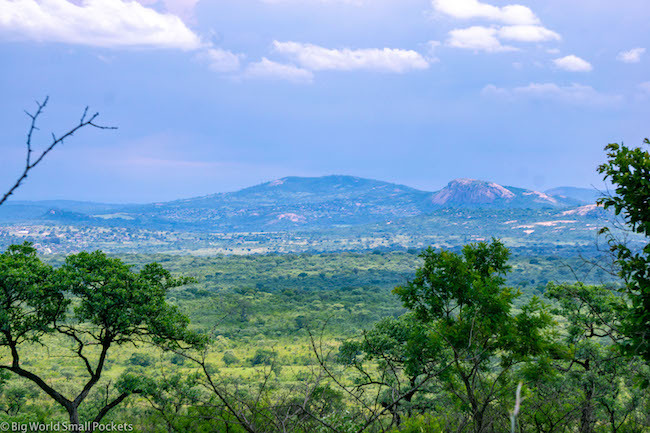 Probably the most famous safari destination in the world, mention the word Kruger to almost anyone, and images of African wildlife and wildnerness immediately spring to mind. Yes, one of the most popular parks on this continent, Kruger does get a rap bad for its crowding and commercialisation however. 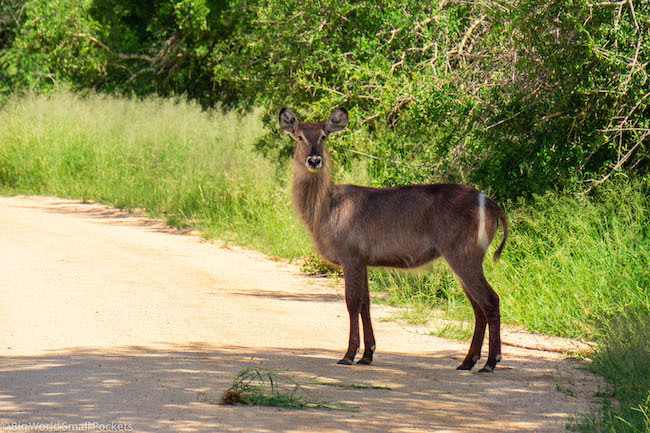 But pick your time to visit here correctly (so you can avoid the crowds) and Kruger’s well established and accessible nature can hugely work in your favour, providing one of the cheapest wildlife-spotting opportunities in Africa. 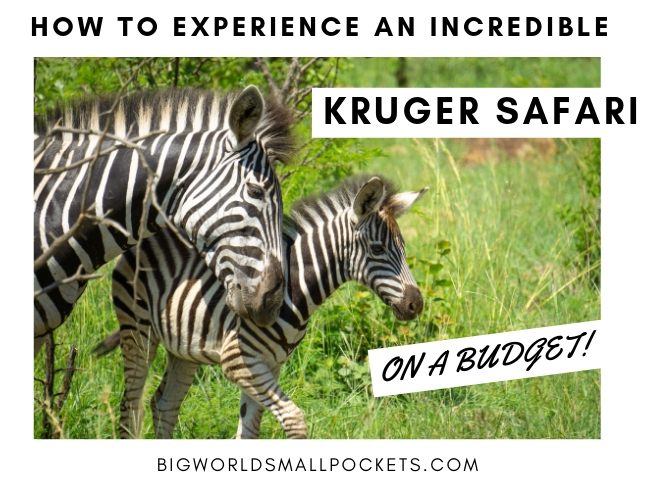 So, just for you my shoestring wanderers, here’s my guide on how you can organise your epic Kruger National Park safari on a budget. My trip to Kruger was kindly sponsored by African Budget Safaris, but, as always, all views are my own. 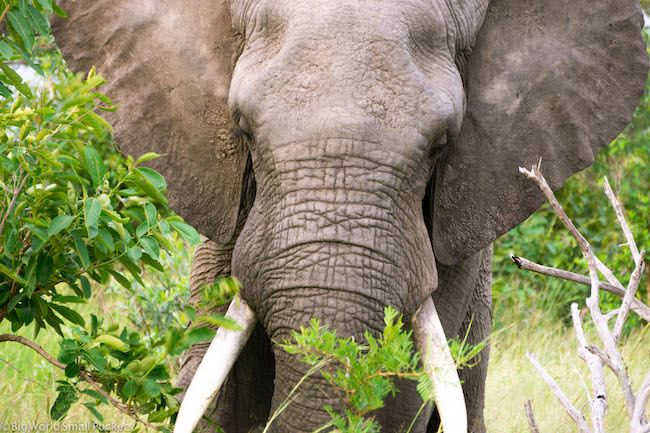 Home to the big 5, as well as a dazzling array of other mammals, birds, reptiles and insects, Kruger offers visitors incredible safari experiences. Kruger National Park was the first and only place I’ve seen African Wild Dogs (very rare), and with both morning, afternoon, sunset and night drives available, the chances of spotting big cats, small cats, rhinos, elephants, buffalo, giraffes, zebras and a whole heap of other wildlife you probably didn’t even know existed (have you heard of a honey badger for example?) 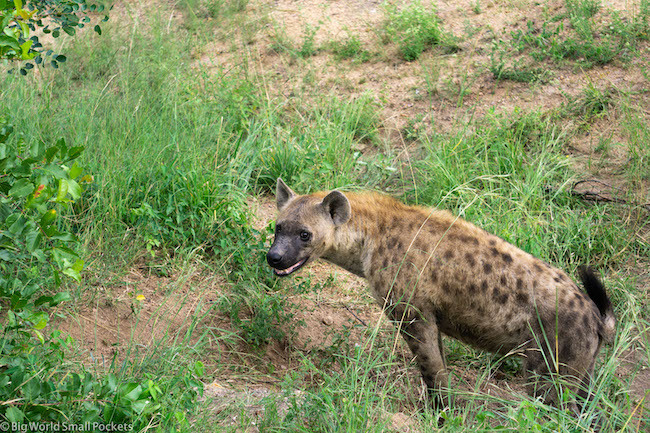 is high on a Kruger National Park safari. The vastness of this park is also quite breath-taking, with the expansive and varied nature of this park’s topography dramatically changing from north to south and wet to dry season. 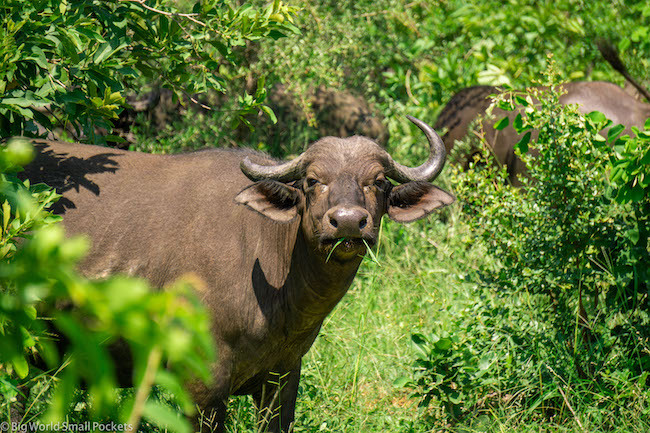 But while it can be argued that many other African safari parks also boast great wildlife and landscapes, few can boast the accessibility and affordability of a Kruger National Park safari. This is definitely one of the best reasons to select this safari destination, especially if you’re travelling solo or as a family, because the good road connections, array of amenities and excellent organisation all make this one of the easiest parks to visit on the continent. 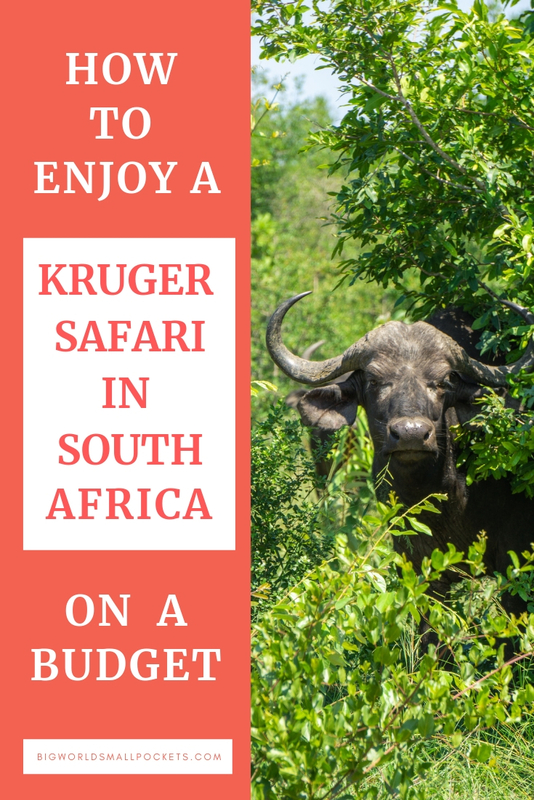 Kruger is wildly popular because it’s cheap and easy, but it’s also cheap and easy because it’s wildly popular, so before you complain about its commercial nature remember this does have some benefits! And it’s easy to take those benefits, and leave many of the disadvantages, by knowing the best time to visit Kruger National Park. 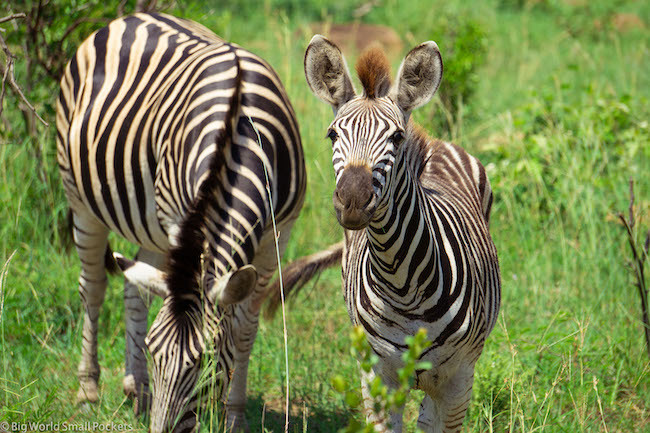 Yes if you want to avoid the crowds, but still cash in on the accessibility and affordability of this park, then my number one tip is to avoid visiting Kruger during all South African school holidays! From the end of January through to the end of March, technically the summer and wet in season in Kruger, is a good time to visit too if you want to avoid the crowds. 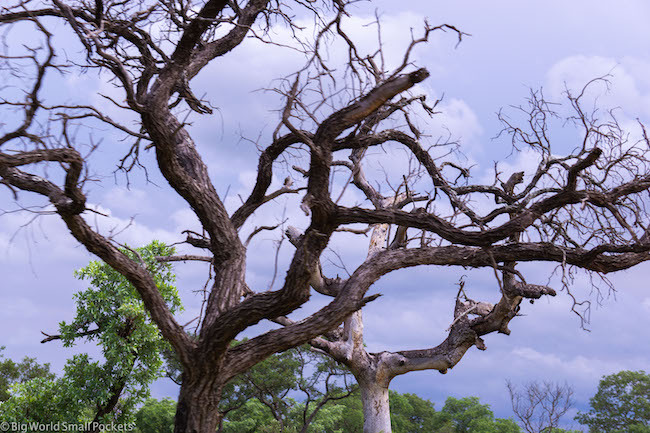 I actually travelled to Kruger during this time and didn’t encounter rain once, so if you can put up with a bit of heat and you want to enjoy the area at its greenest and looking its best, this is the perfect time to visit. 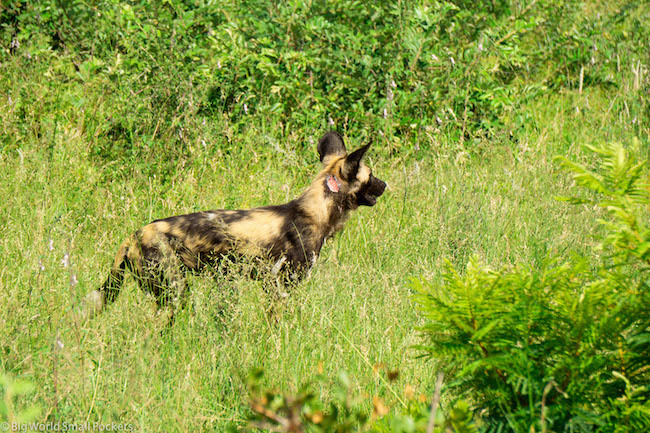 During the dry season, from July to September, wildlife spotting is arguably better, because the then barren terrain makes seeing the animals easier (basically there’s fewer leafy trees and thick bushes to get in the way) and this is also the season many animals have their young. That said, this is peak season when its drier and cooler, so it’s busier and prices slightly higher then too – it just depends where your priorities lie! Situated in the northeast of South Africa, in part bordering Mozambique, the most common access point for travellers looking to enjoy a Kruger National Park safari is the city of Johannesburg, which is about 500km away. 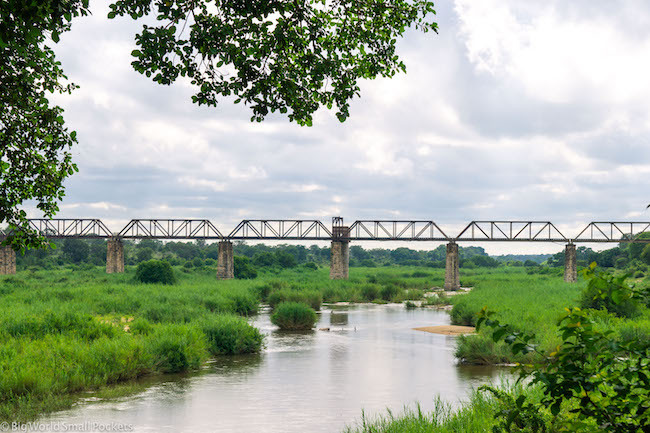 With an international airport, lots of hire car companies, tour companies and bus arrivals from other places in South Africa, this is where most visitors begin their Kruger experience, as you can easily drive from this city to the park in a day. If you need to stock up on supplies, but don’t fancy doing this in Joburg, then the nearby Kruger access town of Nelspruit is a great place to get everything you need at its well-appointed mall on the way. If you haven’t got the picture already, then let me spell it out for you now! Kruger has tons of safari excursion options and from the most luxury to the most budget, there’s more choice here than I could ever hope to cover in this article. Sooooo, given my style of travel (and the title of this article) it goes without saying that I’m going to concentrate on the shoestring end of the spectrum! The only given price when it comes to visiting Kruger National Park is that everyone must pay an entrance fee, which for international visitors is R304 per night per person. There are many facilities within the park, including restaurants, shops and cafes so you can choose to eat here during your Kruger National Park safari if you wish. Otherwise, bringing your own food, water and cooking equipment, and preparing your own meals during your stay here, is obviously going to keep things cheaper. So one of the reasons Kruger is so cheap is because you can amazingly self-drive in the park. That means hiring even a 2wd vehicle in Joburg will get you to the park and around it if that’s all you want to do. 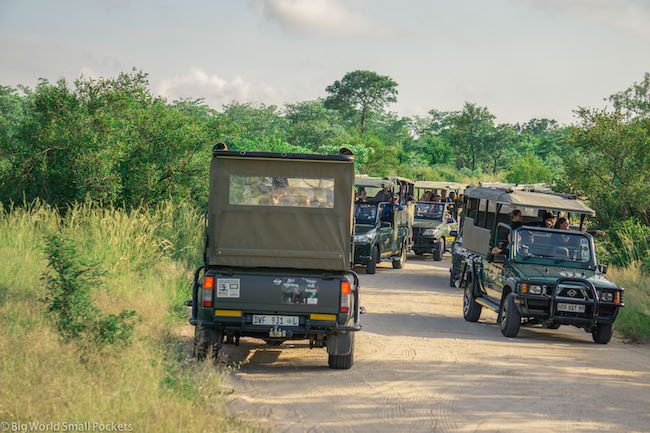 A good idea if there’s a group of you – so you can share the costs of fuel, insurance and vehicle hire – this is a great option if you really want to experience a Kruger National Park safari in the cheapest possible way. For solo travellers or fearful drivers however, self-drive may not be a thinkable option – as it wasn’t for me! The cost of hiring a vehicle, the insurance, the fuel, not to mention the navigation process, stress and organisation all meant that, as a solo female traveller, self-drive options did not even cross my mind, no matter how cheap they were. The hassle of renting a car, getting to Kruger and then driving through the park by myself (possibly missing a lot of wildlife and wasting a lot of time in the process) immediately made this option a non-starter. And so I opted for a tour with African Budget Safaris. This great company, who are based in Cape Town, operate tons of different organised Kruger excursions, either as stand-alone trips or as part of longer African overland or wildlife tours, all at the budget end of the market. They have such a huge range of options, and such an expert knowledge of the area, that they are able to match your dates, your age and the level of luxury you require to your perfect trip. And so it was that I was lucky enough to experience through 3 nights in Kruger National Park with this company as part of a longer African overland trip that was matched exactly to my needs and wishes! The customer service and guidance given throughout the whole process by African Budget Safaris was impeccable and, knowing I could call them at any time throughout my trip, also provided a great level of security and peacce of mind. 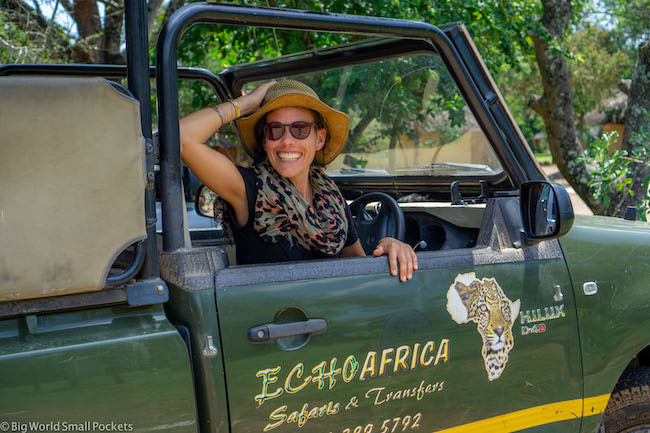 If you’re new to travelling in Africa, adventuring alone or aren’t exactly sure of what safari travel entails, then I can highly recommend African Budget Safaris who will help you out with all of this and more! And, of course, it goes without saying, that visiting as part of an organised Kruger National Park safari is a great way to meet other people and share the experience when you are a solo traveller too. After all, who wants to go to Kruger alone and not being able to talk about the amazing things you’re seeing and doing with other people?! Another great thing I loved about my organised Kruger National Park experience with African Budget Safaris was that my package included some guided 4×4 game drives within the park. While we’ve spoken about self-drive being possible here, what I haven’t mentioned is that this is only an option when the park gates are open – largely just after sunrise until just before sunset. 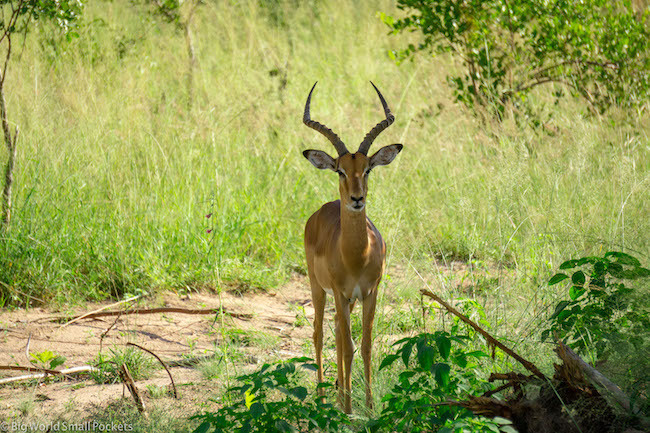 When you undertake guided 4×4 game drives you can access the park anytime, including for sunrise, sunset and night game drives, when the chance of seeing animals are at their best. Obviously you also get the expertise and knowledge of professional rangers too and they really do know the best places to spot the animals and lots about their behaviours and habits. This means you’re likely to see, learn and experience a lot more during your Kruger National Park safari if you take at least one guided 4×4 game drive. 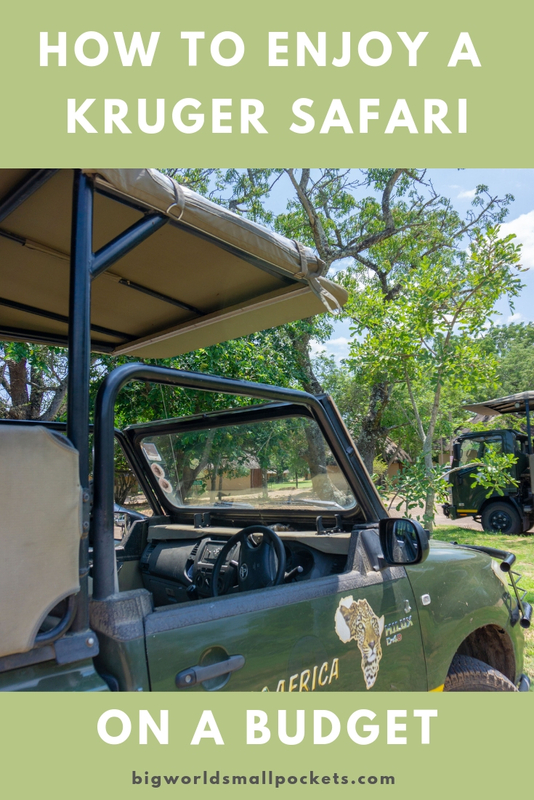 Guided 4×4 game drives can be arranged at all the SANpark rest camps, online in advance through the SANparks website and also via the Private Concession areas. Yet one more thing I loved about my organised trip with African Budget Safaris was that this was all taken care of, I didn’t have to do any research, any price comparison or any arranging – I just had to turn up and enjoy my Kruger National Park safari to the max! SANParks are the national body for park reserves in South Africa and they administer Kruger. SANParks run game drives in the park as well as have their own rest camps within the gates. There are several camps to choose from depending on where in the park you want to base yourself, but the closest area to Joburg and arguably the prettiest part of the park is the southern section. SANParks accommodation at the rest camps is basic but cheap. At the very bottom end of the budget spectrum, you can bring your own gear and camp at one of their places. If you don’t have camping stuff or want to go for the next level up, then safari tents and self-catering options are also affordable. The biggest SANpark rest camp in Kruger is Skukuza, which offers lots of facilities. Another good option is Olifants Rest Camp, which is smaller but has great views from its elevated position. Both of these rest camps are set on rivers with good wildlife watching opps. Private Concession Areas are usually set on the boundaries on the parks close to the entrance gates. They are privately owned camping areas, usually with a better level of accommodation as well as bars, restaurants, swimming pools and small shops on site. The prices for staying in a private concession camp are usually slightly higher than the SANPark accommodation, but the standard is much higher. Again, most private concession camps offer camping (if you bring your own gear) or safari tents and cottages. Bush camp areas for cooking and shared ablation blocks are the norm, although some accommodation options do have ensuite too, right through to luxury lodges. Nkambeni Safari Camp near the Numbi gate is a great option if you want to experience a Kruger National Park safari on a budget and this is where I stayed as part of my African Budget Safari organised experience. Like the 4×4 game drive, this was all included in the price of my tour, making everything easy, straight forward and simple. 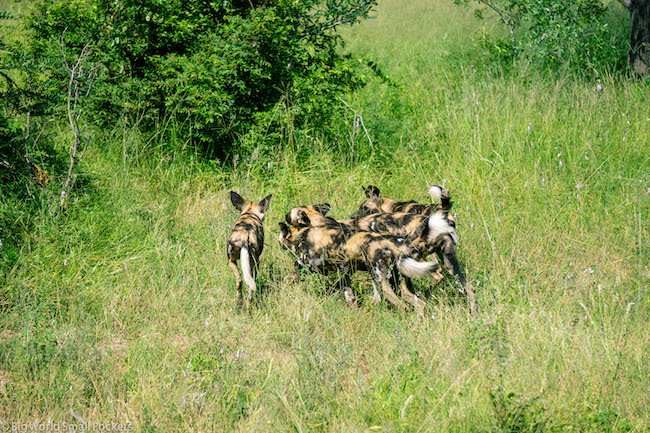 Rather than having to piece together the different elements of my Kruger National Park safari – how to get there, where to stay, how to drive in the park and where to go for the best wildlife spotting – I loved that I only had to communicate with one company and everything was arranged from there. This lead to the best Kruger trip I could have hoped for, all in the company of some great fellow travellers with whom I could share the experience and the memories. Required for your overnight camping in Kruger, I love my Black Diamond Storm, which served me perfectly here. A great travel aide to this country with tons of historical info, maps and top tips, the South Africa Lonely Planet will help you get the best from your time in Kruger and beyond. Kruger is one of those ultimate safari destinations in Africa and travelling here with a good camera will help you preserve the memories. I highly recommend the camera kit I used – the mirrorless Sony A6000 with a 55-210mm lens. This will help you capture the wildlife brilliantly without breaking the bank. Malaria is a risk during your Kruger National Park safari, so cover up at night and use at least a 30% DEET repellent. Kruger is hot year round, with some crazy strong UV rays, so making sure you pack a sunhat for adequate protection is key. I love this one from Hello Sunshine. Rain can also be an issue during the summer months in Kruger National Park, so do bring a rain jacket with you, especially if you’re travelling between November and March. Something lightweight and windproof, like this North Face Venture 2, would be ideal. Whether it’s for covering your shoulders from the sun, using as a sheet when camping or as a towel after your shower, a sarong is a great multi-purpose travel item to bring here. I love these ones from One World Sarongs. I would never advise travelling anywhere in Africa without coverage and always use travel insurance from World Nomads myself. I find their customer service excellent, I love the ability to take out or extend your coverage whilst abroad and their policies are very comprehensive and include safari activities. I always go for a Snugpak sleeping bag because they pack down so well and Sea to Summit’s silk sleeping bag liners are great for inside. Learn more about what to take for your Kruger National Park safari in my designated article, the ultimate safari gear packing list! And that’s it, my full guide on how you can organise an epic Kruger National Park safari on a budget. Have you visited this amazing African destination or is it still on your bucket list?